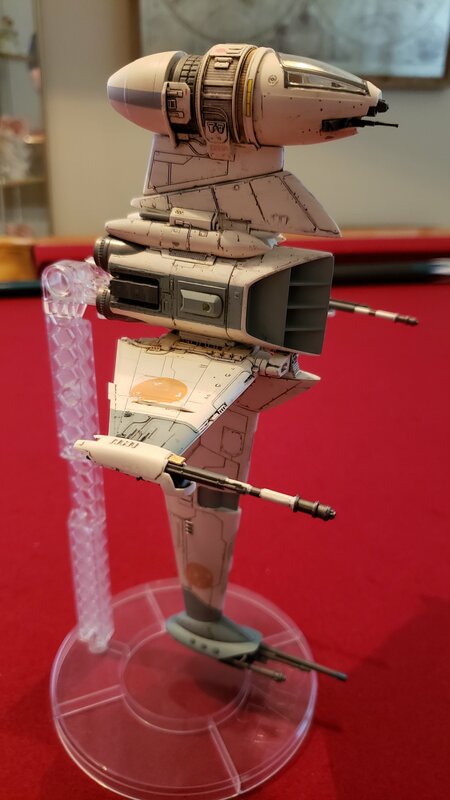 Fairly proud of how this one came out, took the advice of @electric indigo and went over the whole model with a very white light grey mix sprayed very lightly to kind of tone everything down a bit and tie everything together. 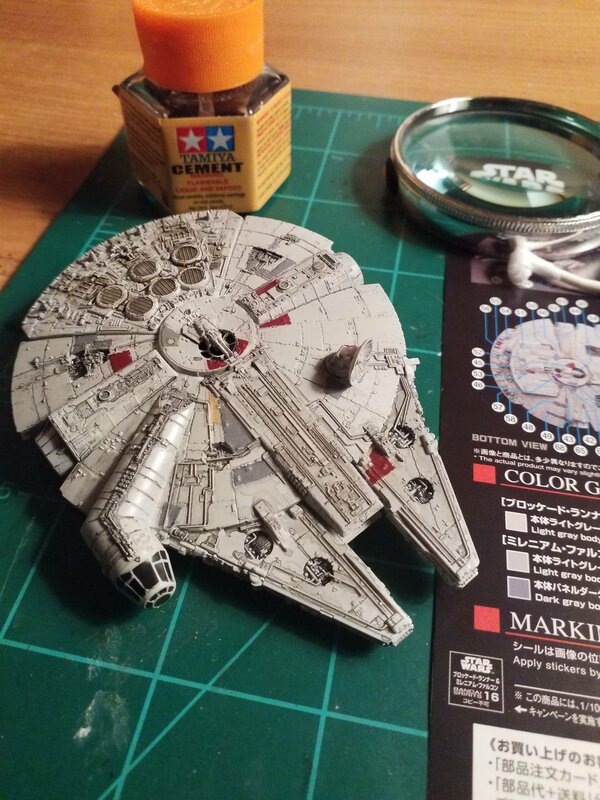 Followed that up with some Tamiya liquid smoke. 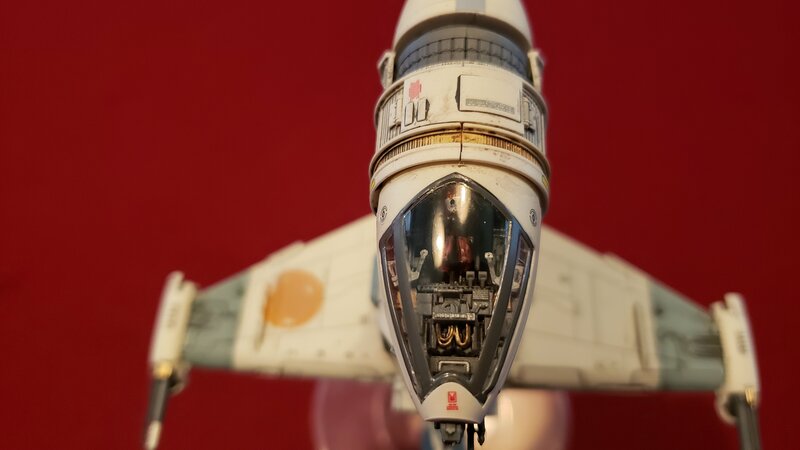 I actually got the water slide canopy frame decals down on the clear cockpit on this one. 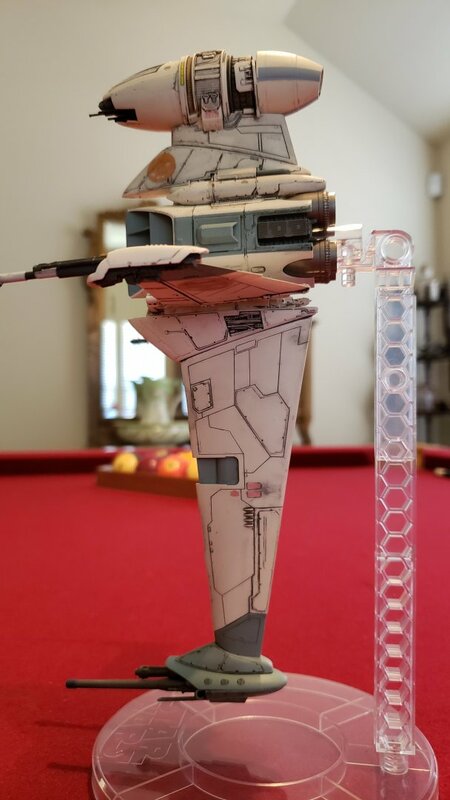 I despise frame only cockpits, my one real complaint about all the Bandai SW kits. 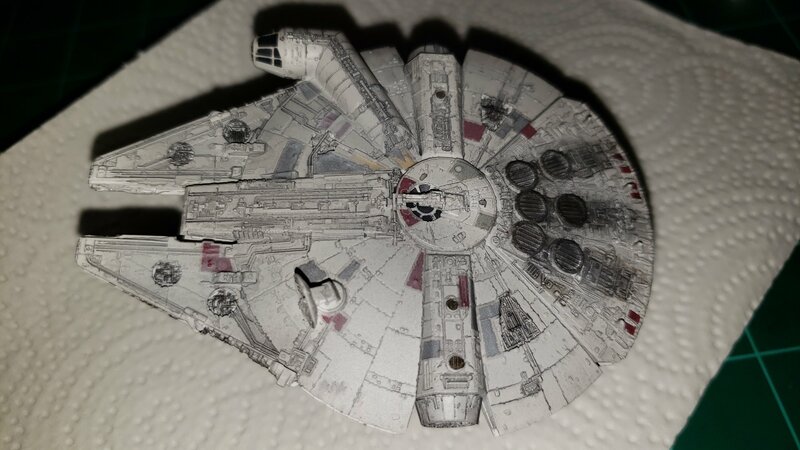 Finemolds options were better, as were their battle damaged /already chipped water slide decals. But anywhoo.. Enjoy the pics! Great job. 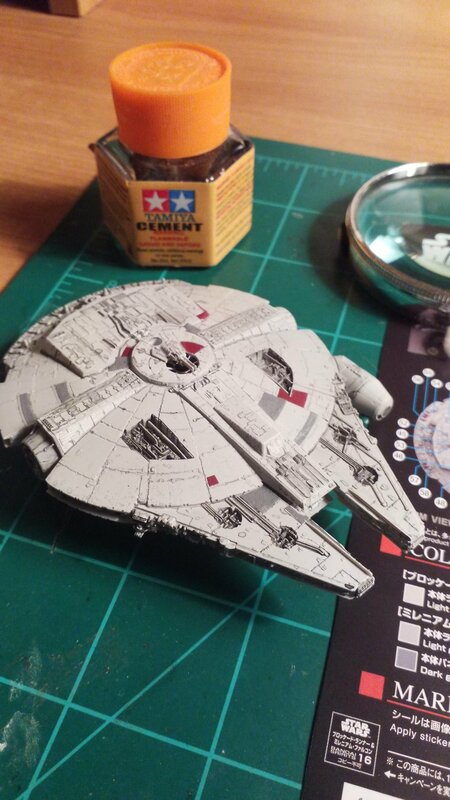 And that Falcon diaorama, wow! Thanks! 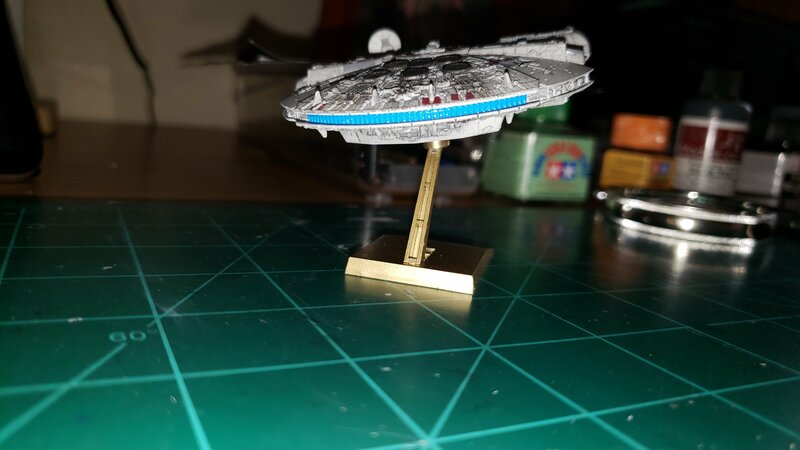 Ahhh yes the Falcon, an oldie but a goodie. 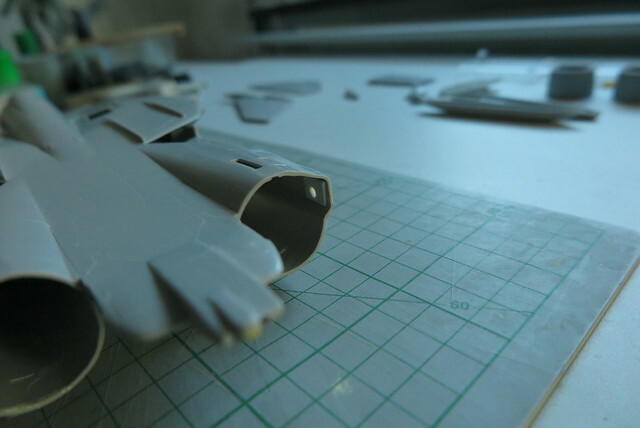 Nyankodevice, Nice to see your finishing up that Sivil figure. 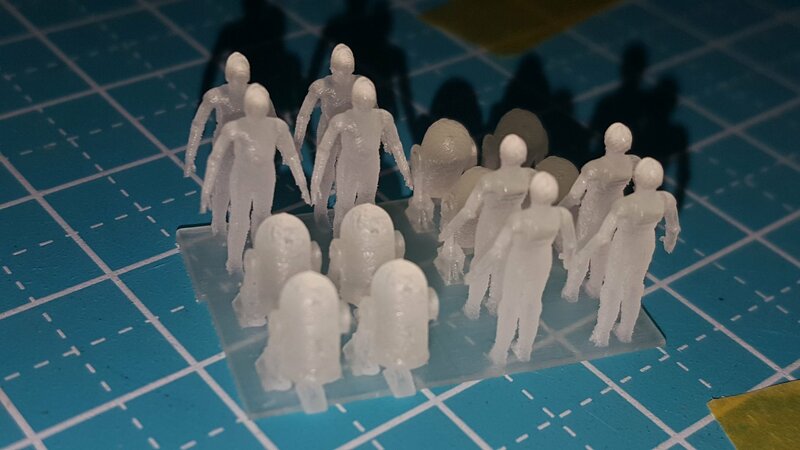 I don't know if you have sculpted your own figures before, but it looks great. Lt. Z0mBe, you've done lots of great scratch detailing and puttying as usual. 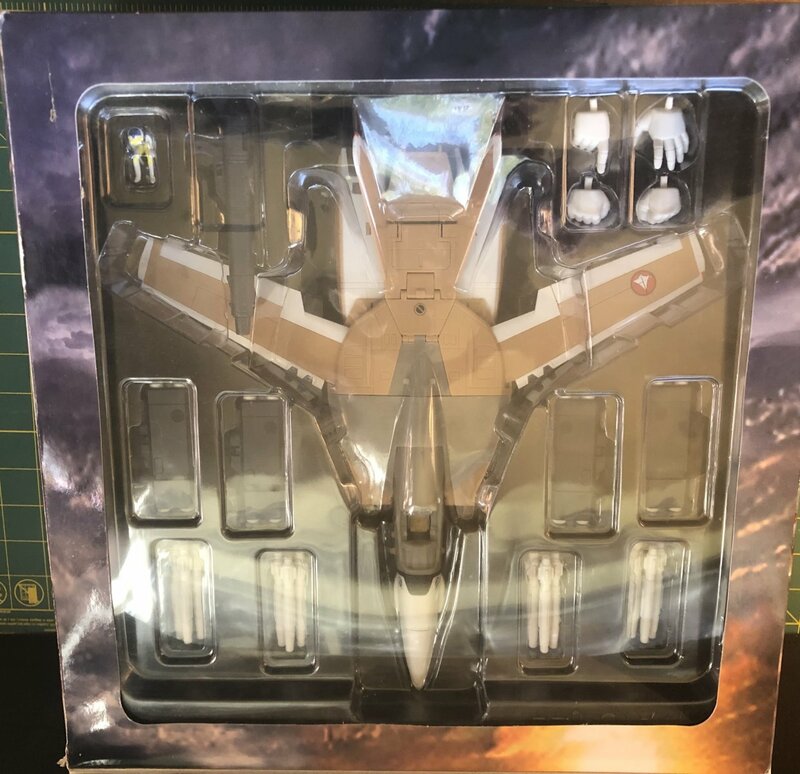 Nice cockpit too, where id that figure come form? 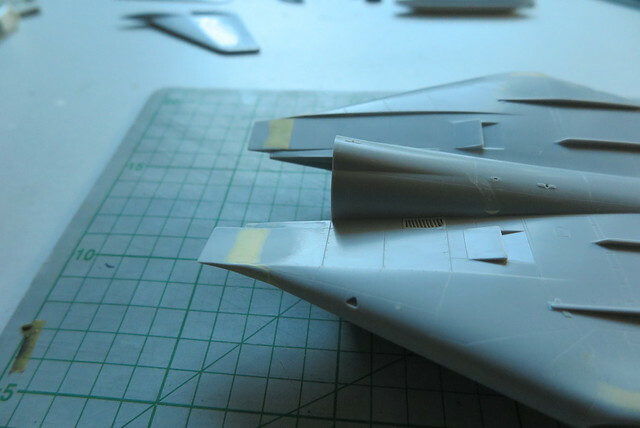 Electric Indigo, with all the puttying you've done on the F-14 nose cone, I assume the Hasegawa 1/48s are no more easy to build than the 1/72s. 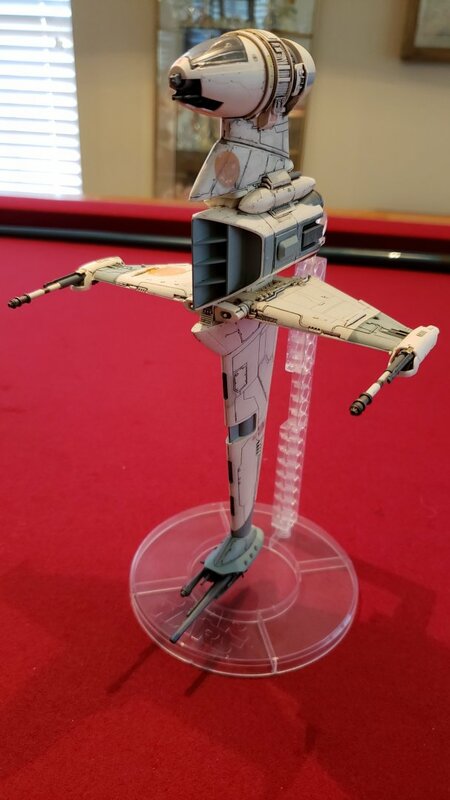 Derex, great work on the B-Wing. It looks fittingly alien. Nice weathering and rust here and there. Why does it have the Japanese rising sun, I wonder? 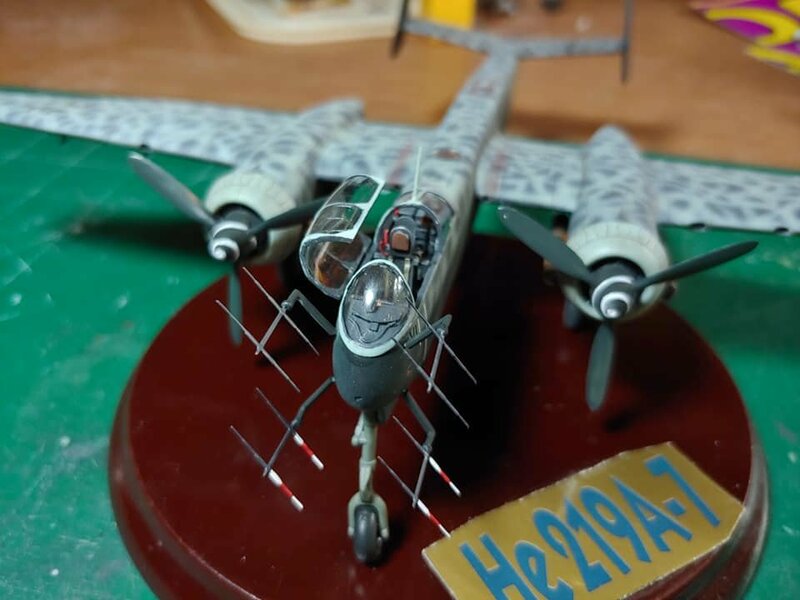 As for the new Hase kits your looking at, treat them as you would a resin kit and you will be fine: lots of parts fitting, sanding, molding and puttying. You have all the skills needed and more, we have seen it. Just don't expect a Bandai snap fit kit. If you know what you are getting into, they are fun, and they come out great. I would follow WMCheng's build guides. Those look great! 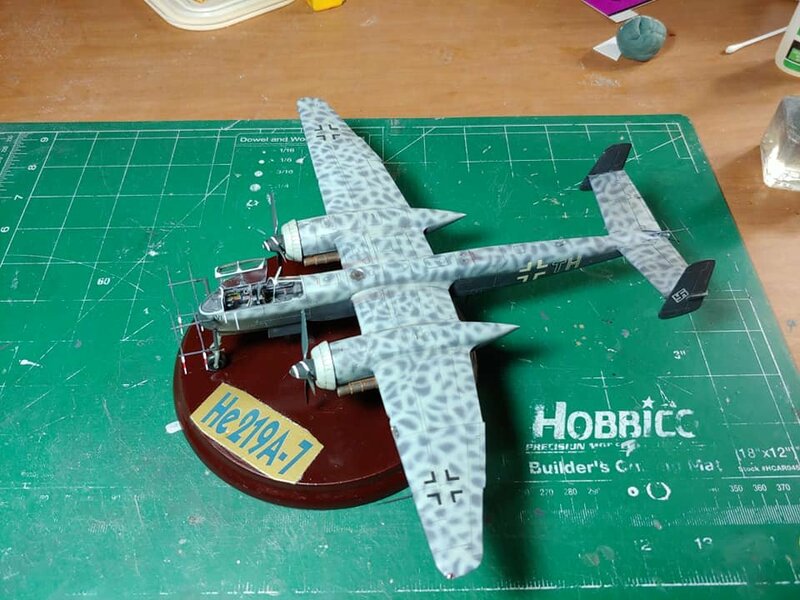 Love the camouflage pattern on the Nazi plane. I picked this up from USA Gundam store online this week for $18 out the door with a 15% off coupon on their eBay store with free shipping and it's here 2 days later! 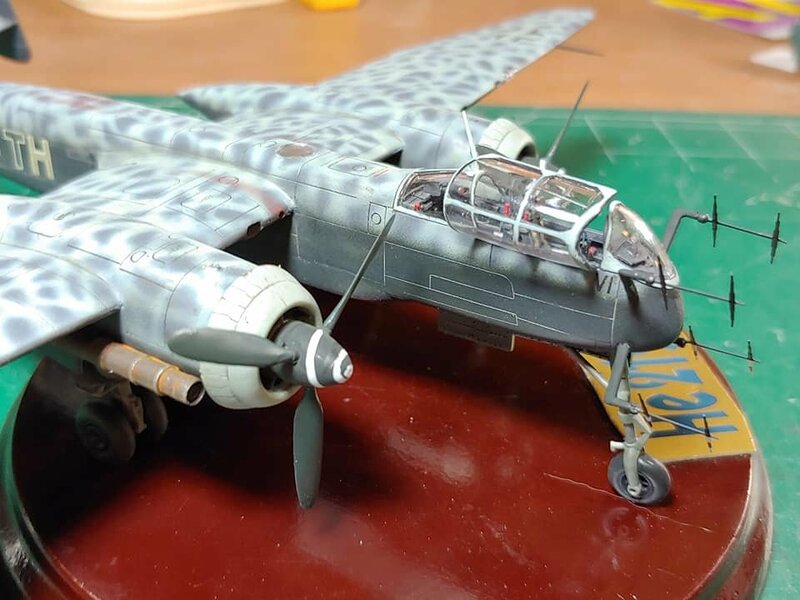 Very detailed little kits. One slight issue. 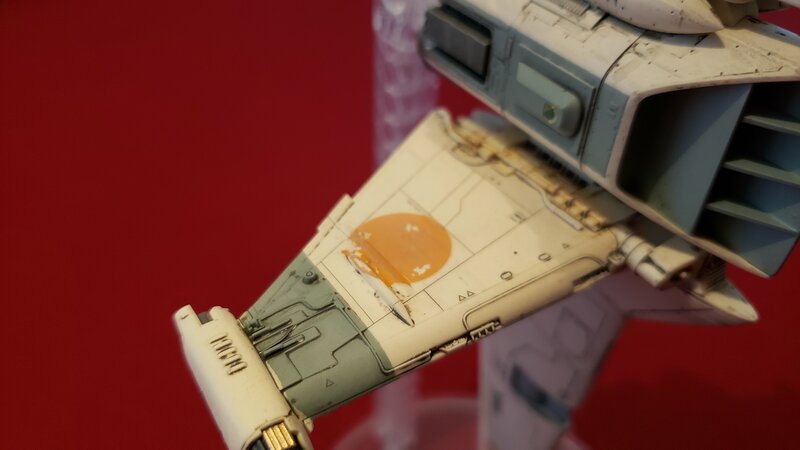 Effing Bandai....ONLY BANDAI would NOT include water slide decals for two of the tiniest SW models they've ever produced. Stickers only. Really Bandai??? REALLY?!!! Guess I'm using them whether I want to or not. Can't mask off stuff this tiny... I don't think. Anyways.. Will be a fun little weekend project sometime. 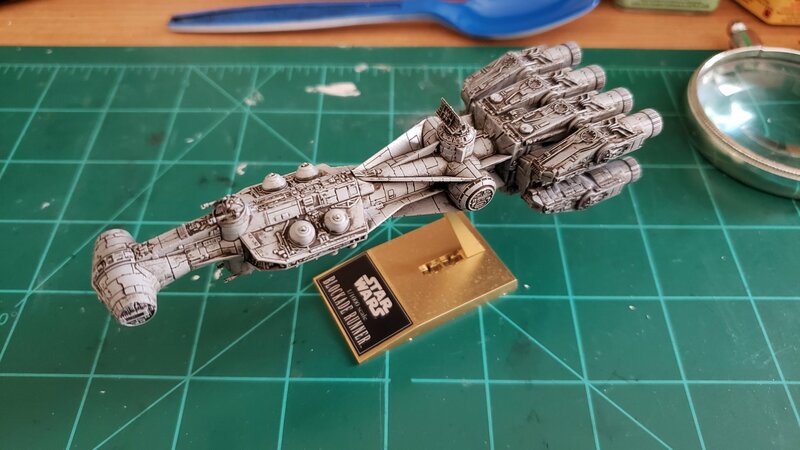 More Star Wars fun for you, both kits seem to be super detailed. 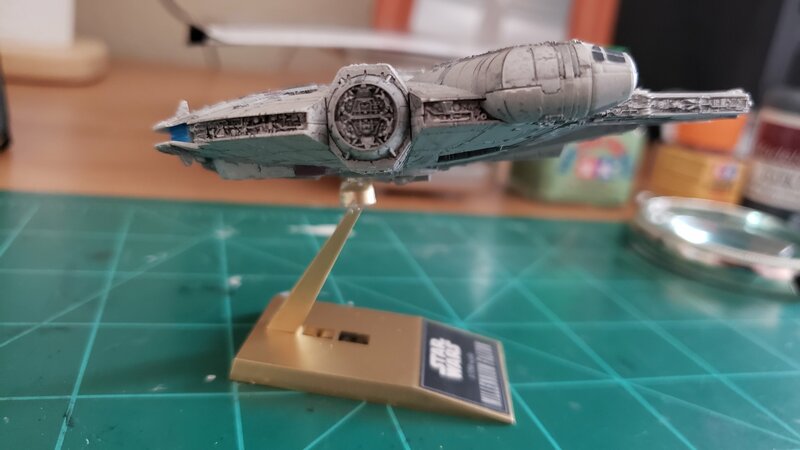 Your perseverance with the B-Wing really paid off, the weathering looks nice and balanced. 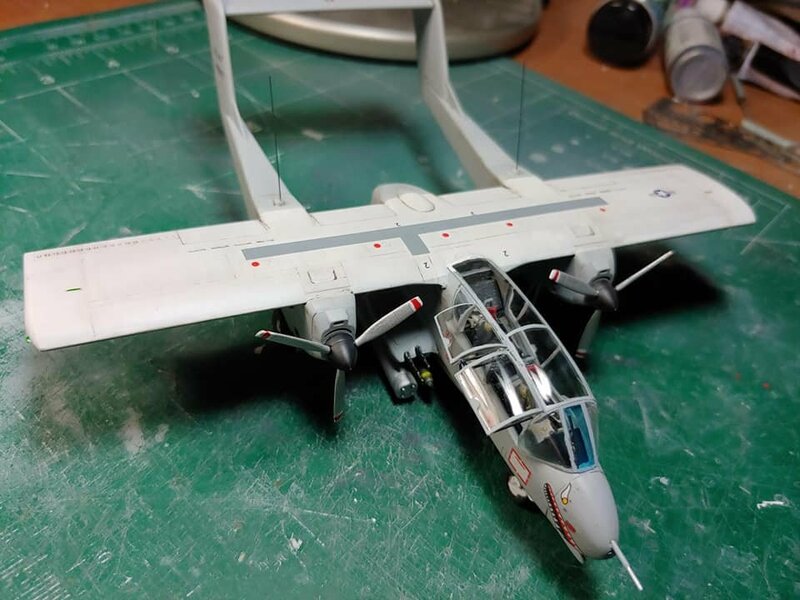 With Hasegawa kits, I recommend checking scalemates for the year the molds were made, as they are reboxing a lot of kits with new decals or part additions. 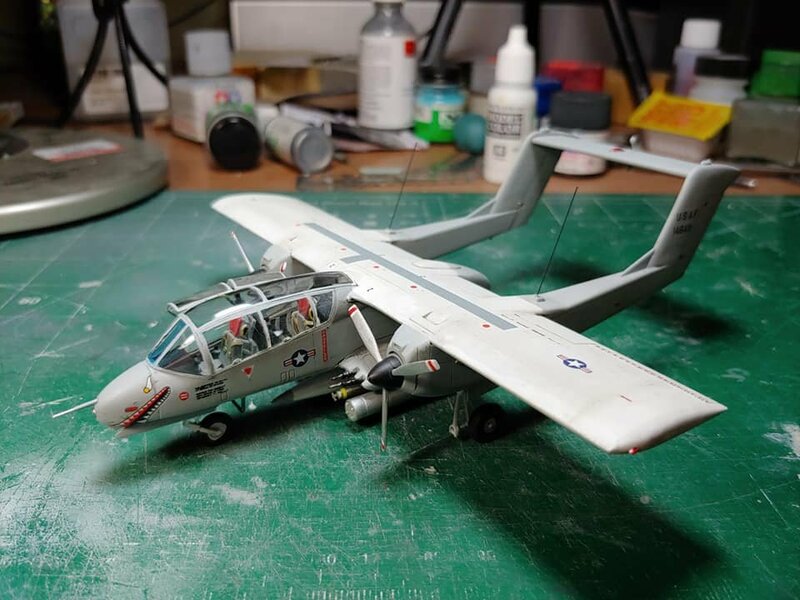 My Tomcat is from the late 80's, it's still a great kit, just not as great as the recent Tamiya version in terms of engineering. But at the time of it's original release, it must have been light years ahead of the competition. 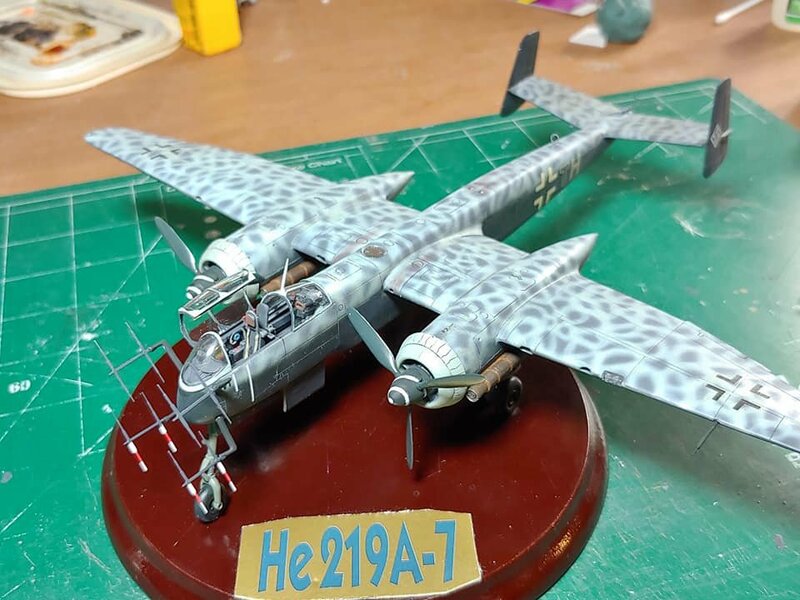 And today you can get it for half the price of the Tamiya kit. 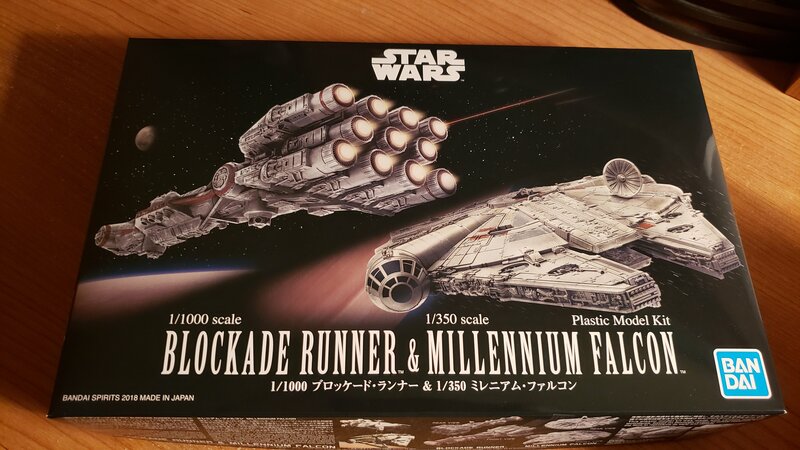 How long is that Blockade Runner? 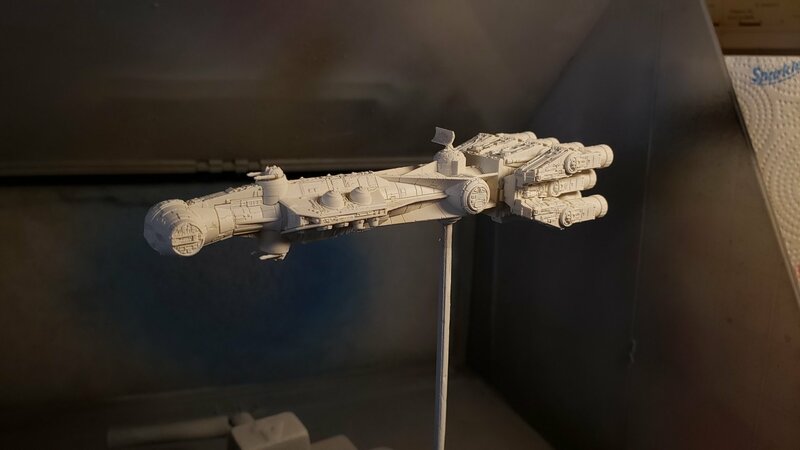 I can understand some of the trends with kits getting smaller, but at the same time, I'm really tired of waiting for a nice display model of that ship. It's such an iconic design, I can't believe there's never been a decently sized kit of it. I just want something about 9-12 inches long. 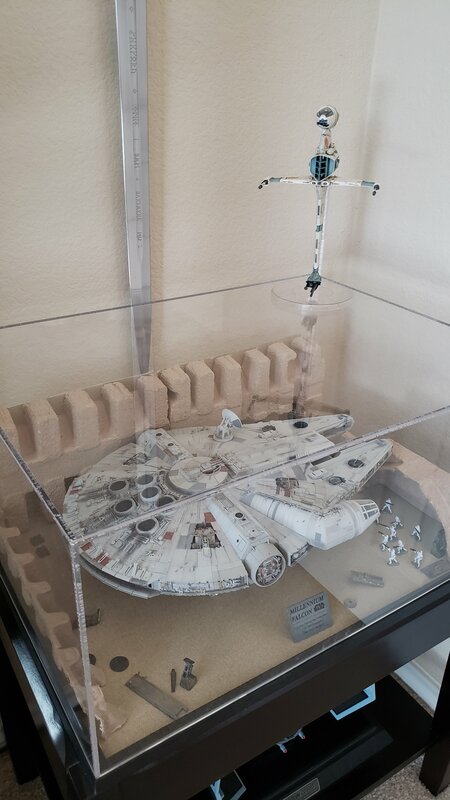 Guess I'm sticking with the X-Wing tabletop game version displayed on my mantle for the foreseeable future. It's no where near that long, prob about 6 inches. I'll post some pics when I build it, prob this coming weekend. 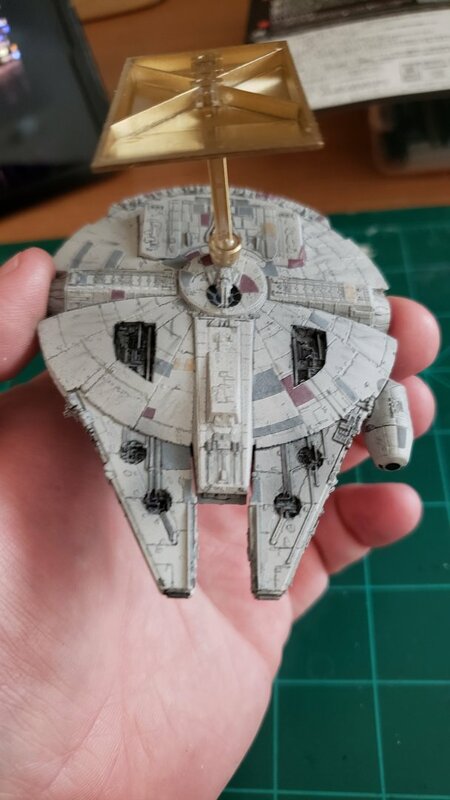 I got bored Sunday and primed/painted and put the Falcon together, gave it a quick acrylic black wash and then started applying the "stickers". 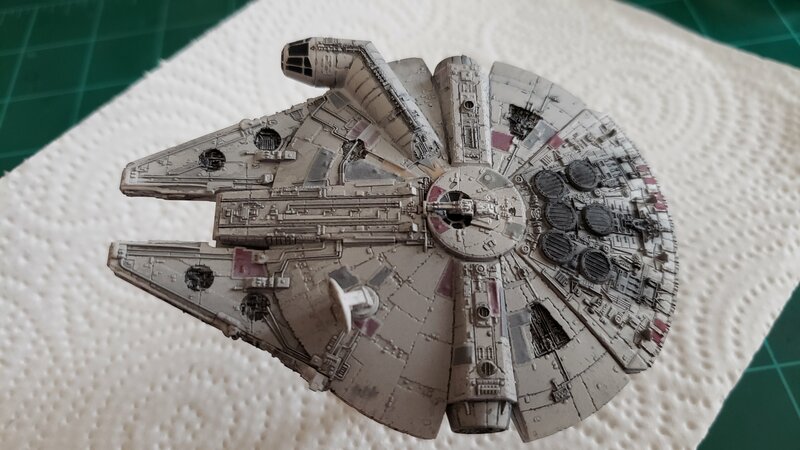 I must eat my own words here a bit..while not waterslides, they really aren't bad at all...very thin and lay down nicely over tiny surface details. Just use a qtip to press them down hard. I'll post a couple of pics later. The detail on these is truly incredible, you really have to look at them under a magnifying glass to see appreciate it. 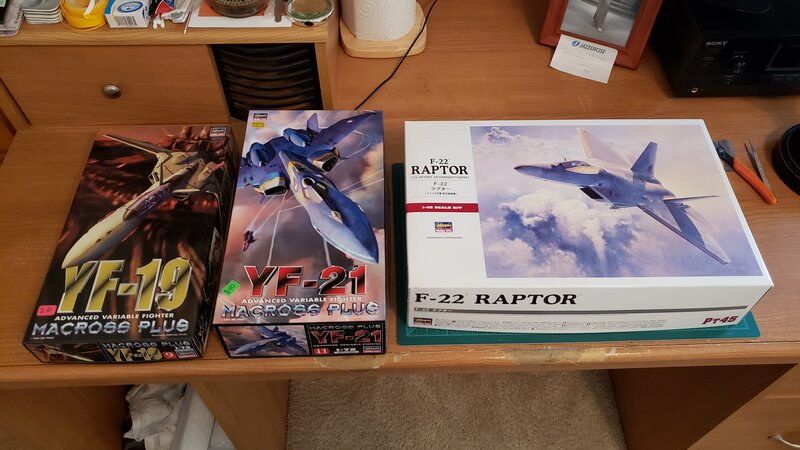 I do have a nitpick about Bandai's Falcon's though...even the BIG boy. 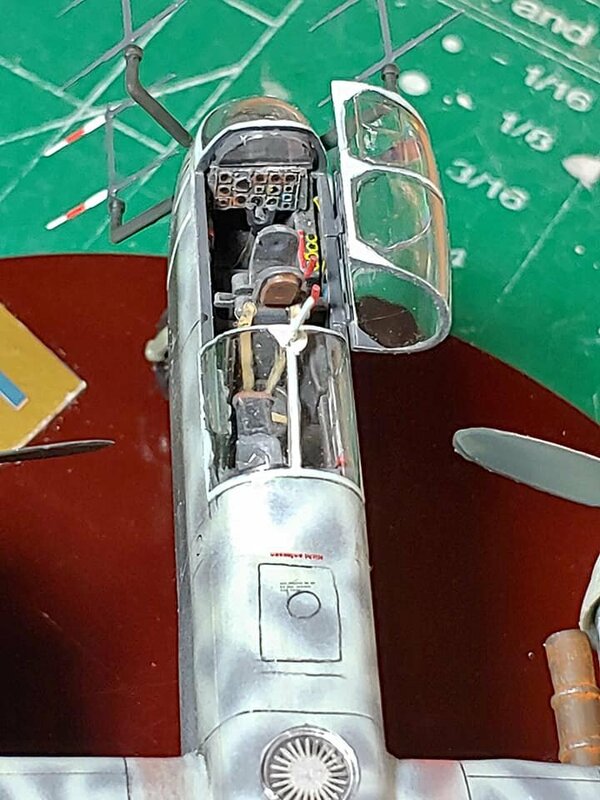 The cockpit "olive" is too squished and looks odd from the top and sides. FineMolds was a bit more elongated and to my eye looks better. Nice work Sean. Long time no see! Damn, it looks like pics from a model show in here, and all from the winning table at that! If I quoted everyone it would be its own page, so great looking builds all around! Wow. 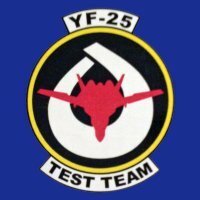 Though, go for the YF-19! This is currently on my table. 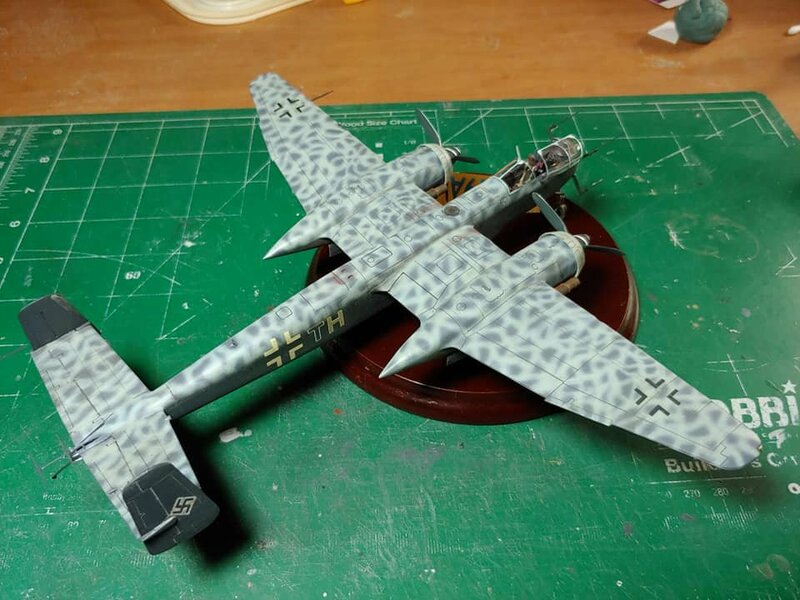 Just finished the base coat of MM light gray after a preshade. Now time for the other colors. nice! Love the Defiant! 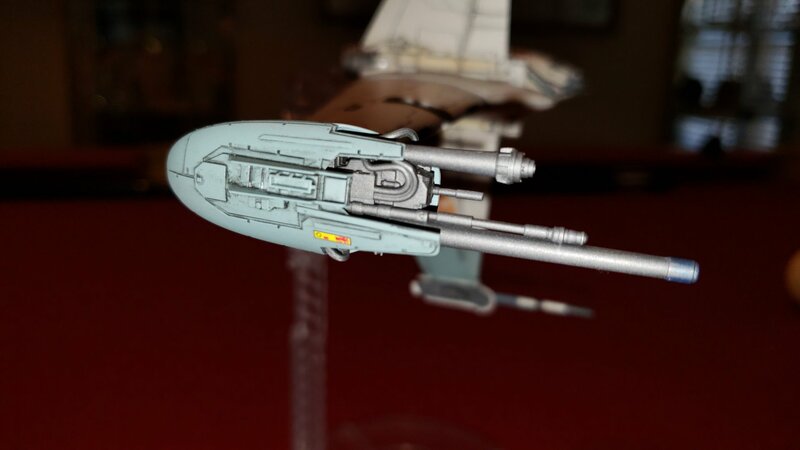 I almost pulled the trigger on the reissue of the DS-9 Runabout the other day. 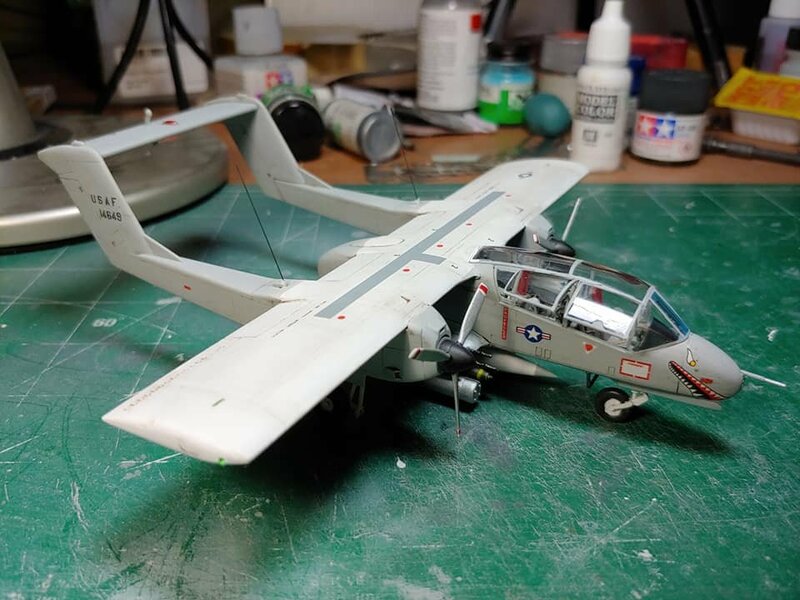 Got one of these sitting unbuild in my shelf, but from Revell (really old kit mold from the 90s - means much putty and sanding). Not a big runabout fan meself. Defiant though, she is one cool 'little' ship. After a couple more masking/painting sessions. she's coming along. Looking good! 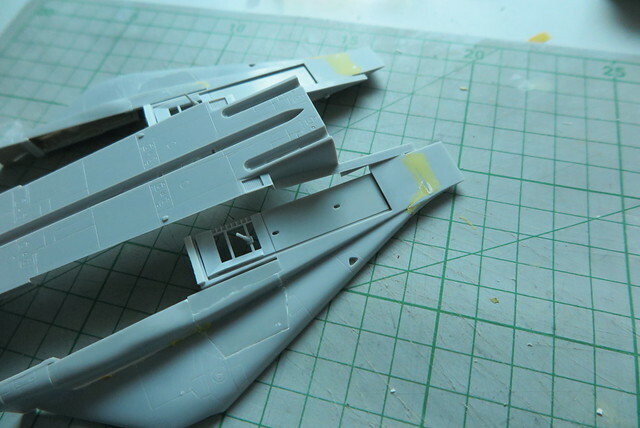 Are you going to attempt some LED lighting for the engines? I feel like the Defiant is simple enough where I might actually have a prayer of lighting the engines if I ever built one.. I've never really been into lighting. 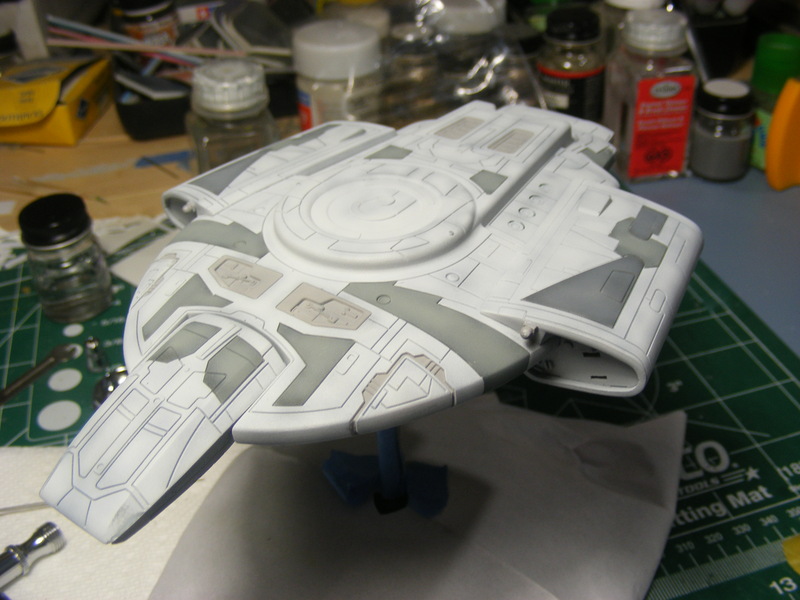 Besides, the hull is all glued and sanded shut, so too late for that. 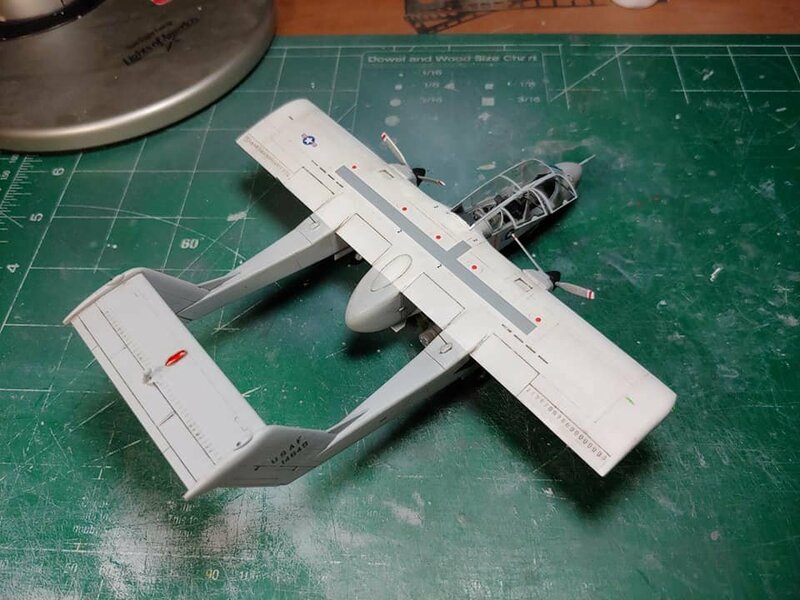 Your Defiant is coming along nicely, good luck with the decals. 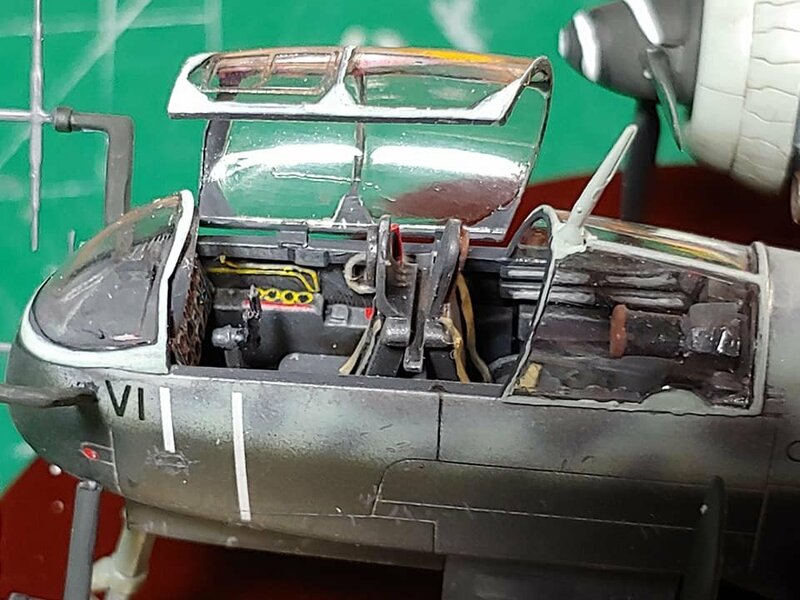 On a sidenote, I wonder how Hasegawa can do pencil-line faint engravings since the mid-80s, while AMT/Round 2/Moebius and their random current chinese contractor seem to use small tractors to plow their panel lines into the kits. It kills all their small-scale SF ships for me. Thanks! I'm staying mostly away from the decals though. 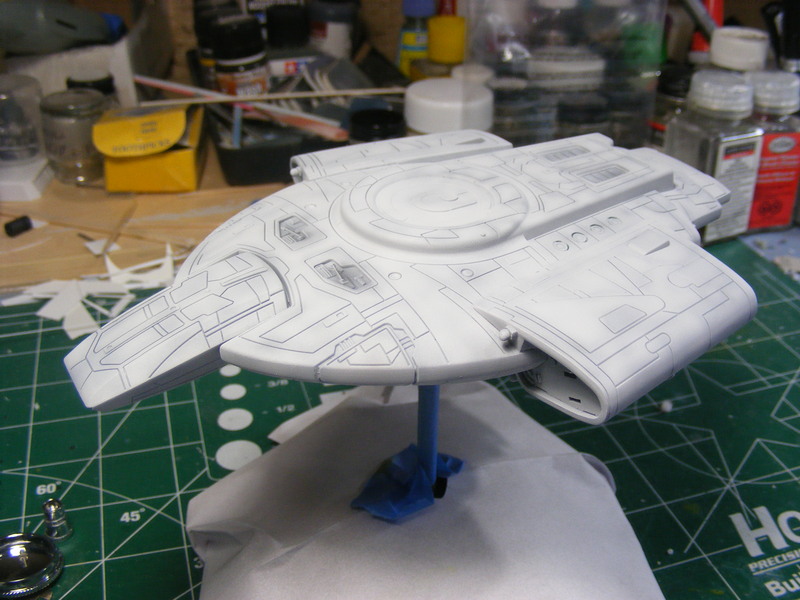 I'm going to paint all of the colors on it, and only use the pennants, registry and windows of the decal sheet. 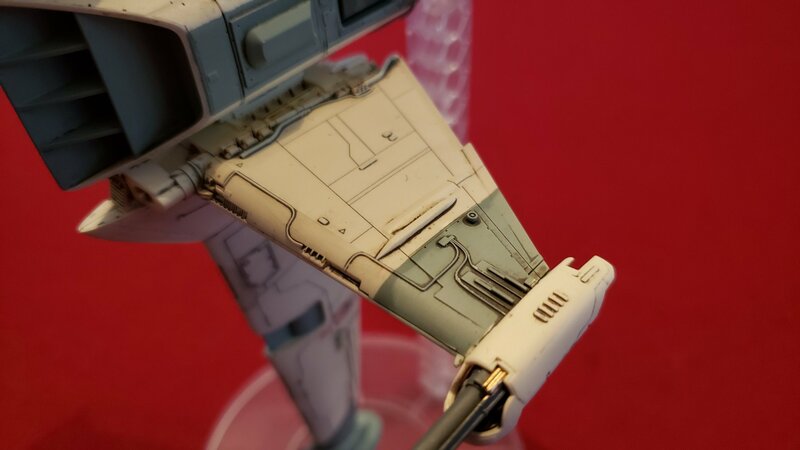 And yes, those panel lines are wide and deep. The one good there is about them is that being so helped with masking the panel borders. Here's the 30 minute Star Wars "build of the day"... LOL. 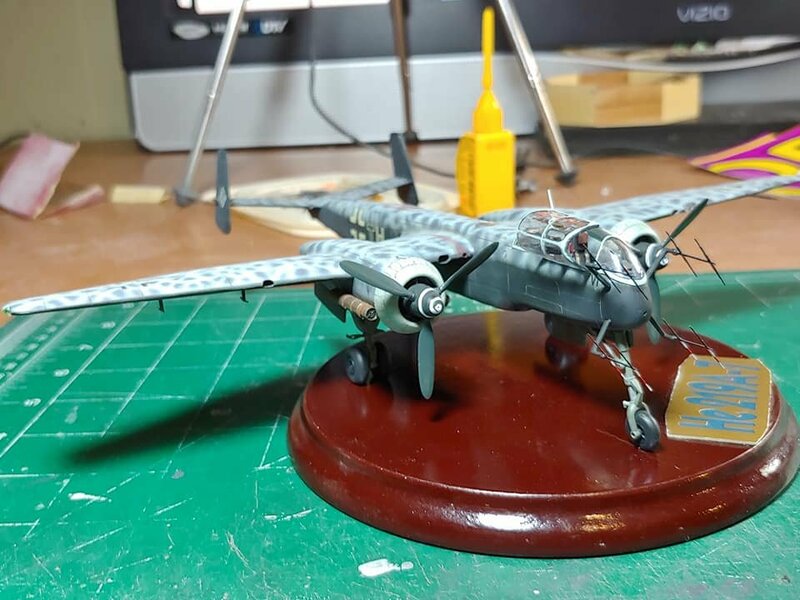 These little Bandai kits are fun. 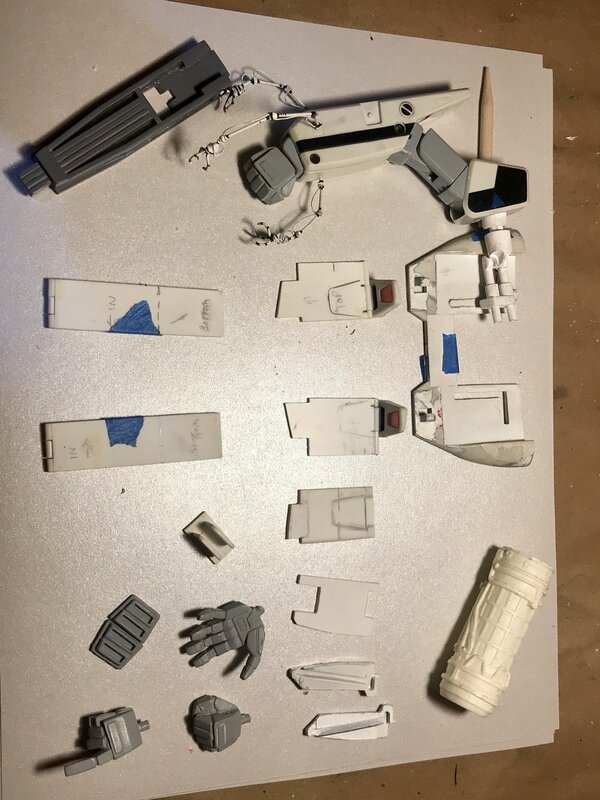 Build and primer today, paint and weathering/stickers tomorrow! 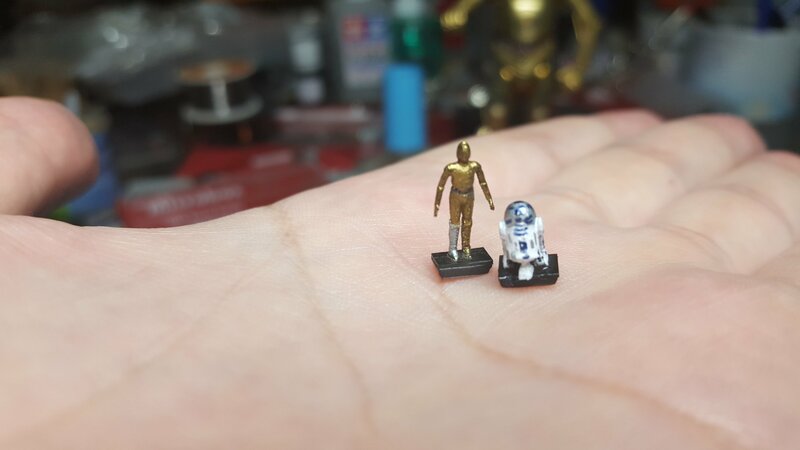 I have some spare Shapeways 1/144 R2 and C3PO figures. Thanks for the offer but I would go blind painting those... LOL. Just dug up these old projects from way back in the day. 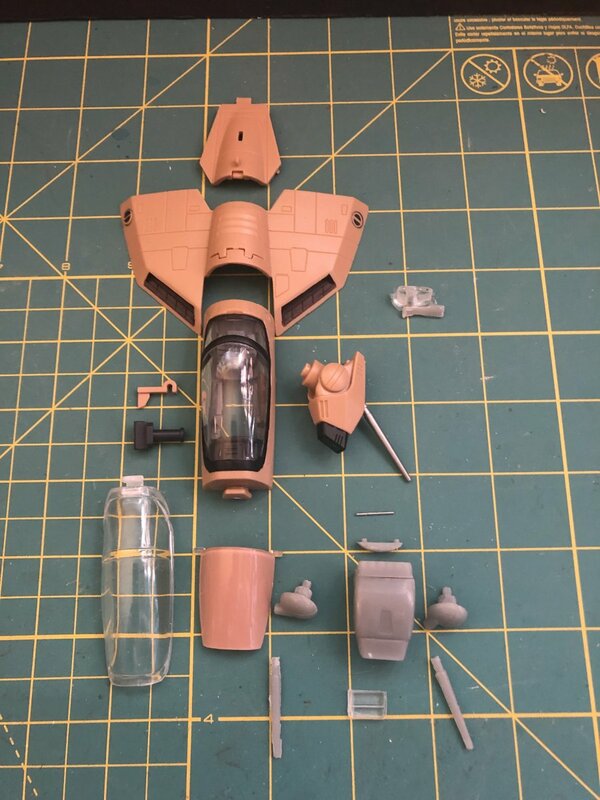 I sure do miss customizing and casting parts Yamato 1/48 upgrade parts. These projects were started about 7 years ago and until recently I came across them. Anyone else out there willing to share projects started and remain incomplete from long ago? Haha ..ya. 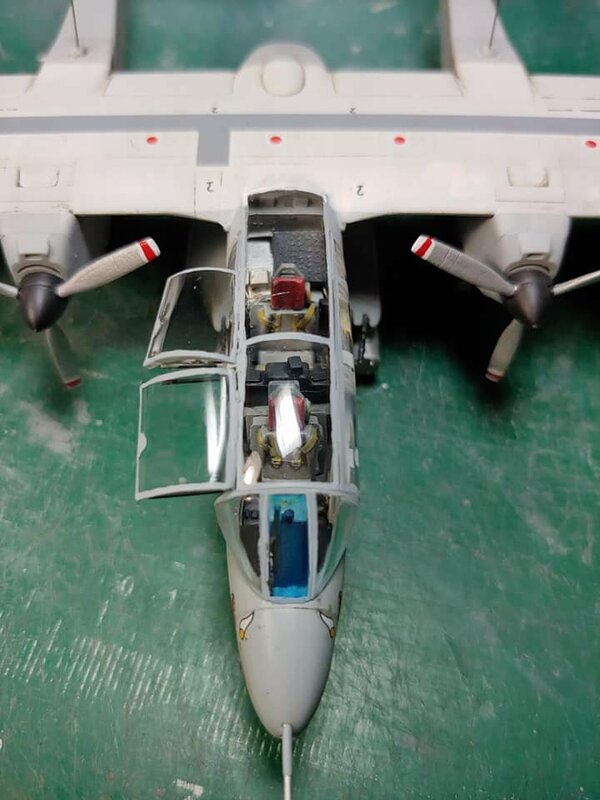 One of mine ended up on the auction block..1/48 VF-1A/D conversion from many years back..
Diverging from the instructions, I recommend glueing the front extensions to the body before installing the intakes, as there's a nasty seam to putty which would lie inside the intakes later. I replaced the tiny actuators for the intake ramps with styrene pieces so I can easily drop them into place after the painting process. 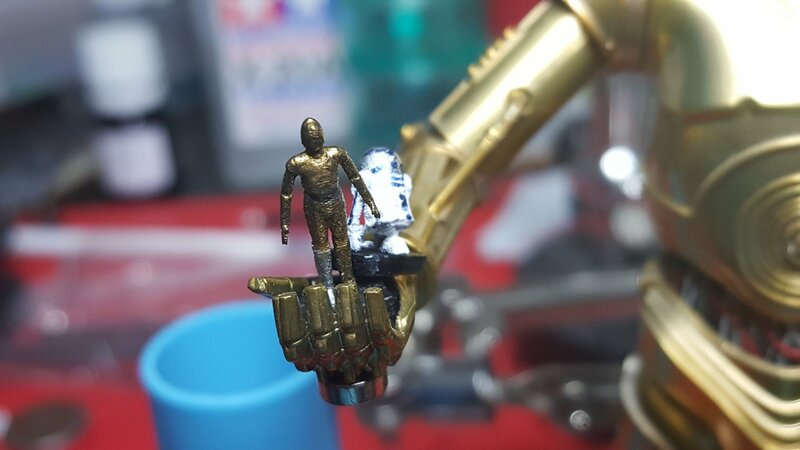 Oh, look at those wee lil droids! Your hand looks like sand dunes! Major construction is nearing completion. 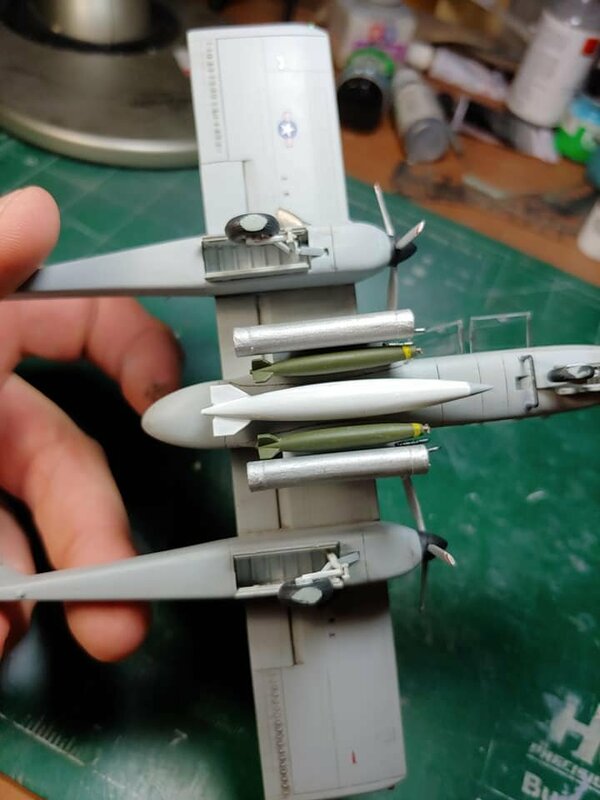 I recommend glueing only sections of the larger parts at a time to assure good alignment. 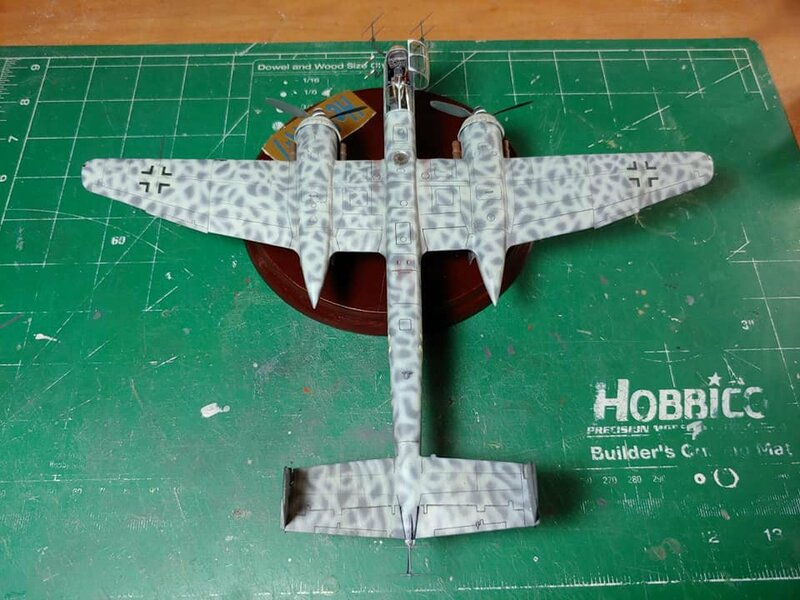 The holes for the horizontal stabilizers were to wide, so I glued a piece of plastic sheet inside the hull and drilled an appropriate hole. The front extensions need to be blend in. 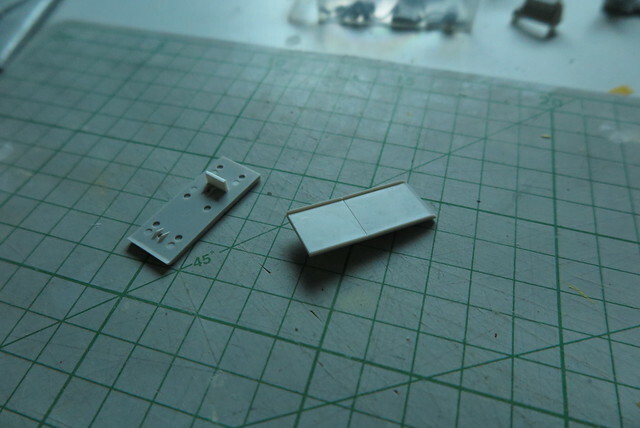 The parts provide a nice sharp edge. 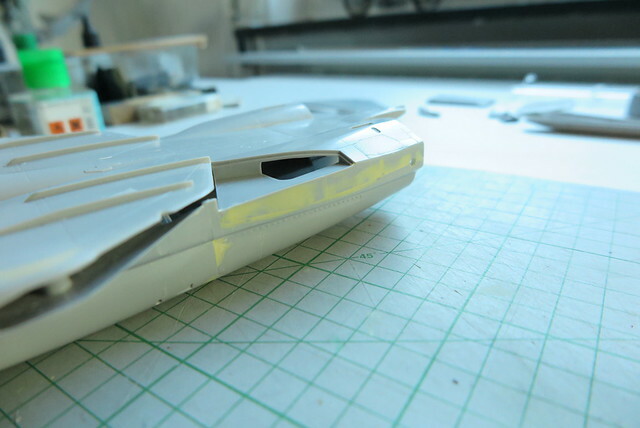 While the part fit is excellent in some areas, others are a mess. Polyester putty to the rescue. Fortunately there's no critical detail to re-scribe in this area.